Big Ed’s Pizza has been in continuous operation since opening at its current location by “Big Ed” Neusel and his wife, “Ginger,” in February of 1970. However, the famous Oak Ridge institution actually got its start in 1961 in Huntsville, Alabama, as Big Ed’s Pizzaria. In the late sixties, Huntsville’s poor economy prompted the Neusels to sell the pizzeria and, after spending a brief time in Greyling, Michigan, relocate to Oak Ridge where they converted the old Service Drug Store into “Big Ed’s Pizza”. 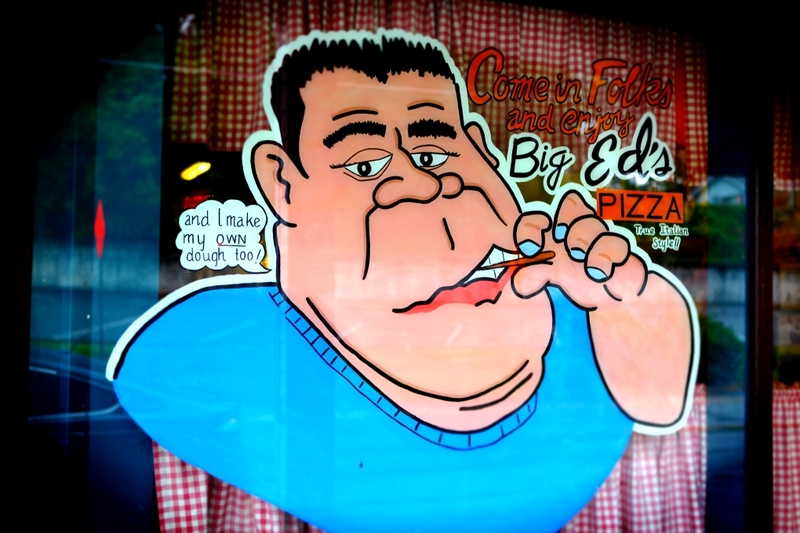 The menu at Big Ed’s Pizza is simple – just pizza and beverages, including beer – because Big Ed insisted, as only a Marine can, on always using high quality ingredients for his pizzas. 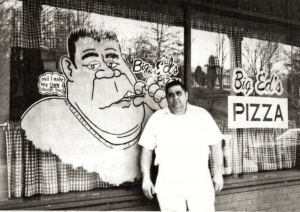 A man of few words but with a kind heart befitting his large stature, Big Ed loved running his pizza place until his passing in 1998, usually from his spot at the back of the bar. He left behind a legacy of hard work, generosity, and his tradition of high quality pizza that his son David accepted and continued with the same passion as his father. David, who served in the Navy and then worked at the Oak Ridge plants before taking over the restaurant, summed up the appeal of Big Ed’s Pizza this way, “The care we put into the product is the biggest secret behind the pizza; if we can’t do it right, we don’t do it; we’re here to satisfy the customer.” In October, 2013, David passed away unexpectedly. Since then, David’s wife, Melissa, and Jon Harris, General Manager, have upheld Big Ed’s longstanding traditions. We continue to make both our dough and sauce fresh in the restaurant using Big Ed’s original recipes. We also make our own sausage, with Big Ed’s unique blend of spices, and our own hamburger in the restaurant to ensure both are very lean. Our mozzarella cheese, made to Big Ed’s specifications, is shipped direct from Wisconsin and shredded daily. We even chop our fresh produce daily and smoke the chicken for our BBQ chicken at the restaurant. 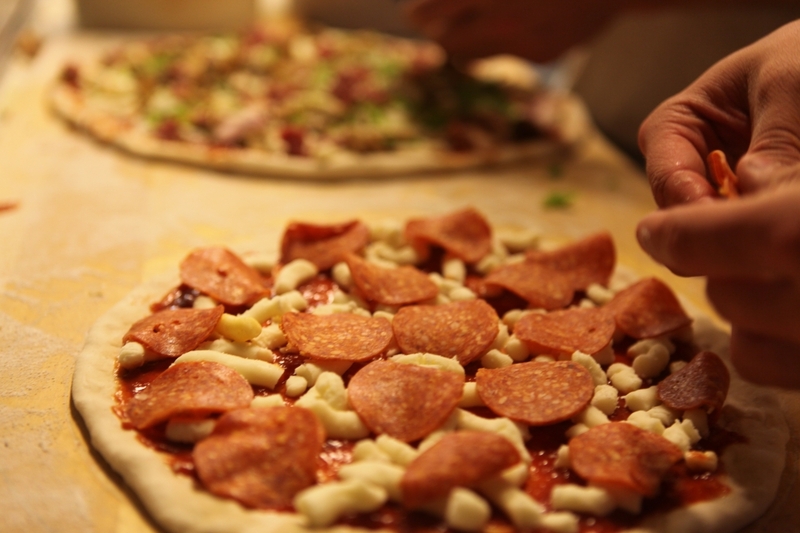 By doing all this extra work ourselves we can oversee and control the quality of our pizzas’ ingredients. The restaurant’s atmosphere is unique, including booths from the original Service Drug Store. 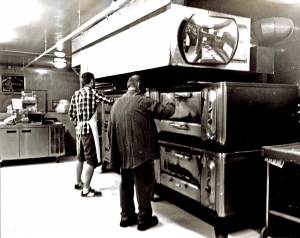 Customers can watch pizza makers in the open kitchen (originally the drug store’s lunch counter area) make their pizza by hand, slide it in the stone floor gas ovens to bake, then cut it into slices with large scissors (which Big Ed found was the best way to cut a pizza) before serving it to the customer or placing it in a paper bag for pick up. The décor has all been given by grateful pizza fans or depicts honors and awards received throughout the years. 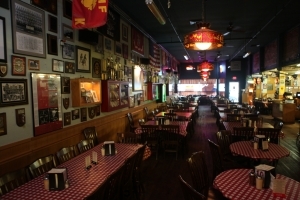 Big Ed’s walls and display cases are packed with portraits, trophies, flags, awards, and other memorabilia, including many military photos and souvenirs, from all over the world. 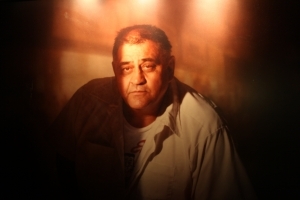 Some photos show individuals wearing a Big Ed’s T shirt (featuring the distinctive caricature of Big Ed himself), which is the advertising medium Big Ed preferred over more conventional methods such as television and radio. Big Ed’s Pizza has won many awards over the years, including USA’s “Best Pizza in Each State”.